India is among partner countries seeking to allay U.S. trade deficit fears by increasing imports as the Trump administration redraws bilateral trade plans and seeks to alter world trade norms. India is seeking more oil, drones and aircraft from the U.S. to help narrow its $28 billion trade surplus amid rising concerns of possible collateral damage to its economy from President Donald Trump’s trade spat with China. Asia’s third-largest economy could bridge the surplus by up to $4 billion through oil imports alone, government officials said, asking not to be identified as they are not authorized to speak to the media. India is among partner countries seeking to allay U.S. trade deficit fears by raising imports as the Trump administration redraws bilateral trade plans and seeks to alter world trade norms. Earlier this month the U.S. added India to a list of countries it’s monitoring for possible currency manipulation aimed at boosting exports. India, which denied its central bank interventions help exports, fits one of the main criteria for countries making the list — a bilateral trade surplus of at least $20 billion. Along with South Korea, India was the only other country to cut its surplus — merchandise and services — with the U.S. after Trump took charge. The surplus dropped to $28 billion in 2017 from the $30.8 billion in 2016, according to data from the Office of the U.S. Trade Representative. Its merchandise trade surplus with the U.S. in 2017 fell 6.1 percent to $22.9 billion, mostly helped by more than doubling imports of aircraft and parts from the U.S. in fiscal 2017 to $4.24 billion, data from India’s commerce ministry show. 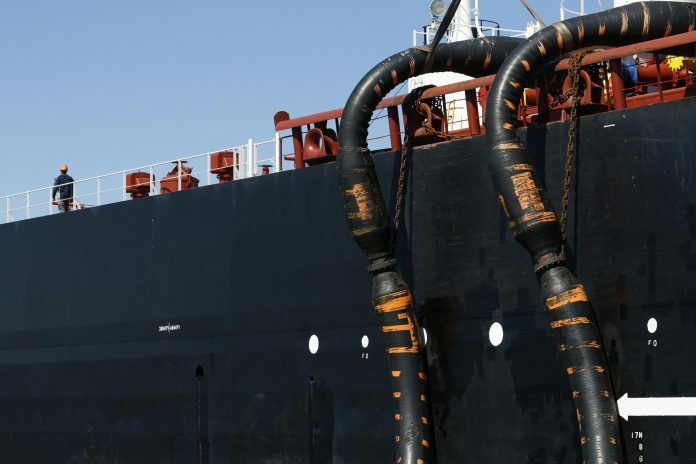 The number may narrow further this year after the U.S. lifted its four-decade-long curbs on crude oil exports, the officials said. India, which received its first U.S. oil shipment in August 2017, could import oil worth $4 billion, according to one of the officials. On April 19, Trump cleared the ‘US Policy on the Export of Unmanned Aerial Systems’ that could allow India to buy drones. India, which imports more than 80 percent of its crude oil requirement, sourced nearly 12 million barrels of crude oil from the U.S. in the last six months. Its 37 billion cubic feet of natural gas purchases over the past couple of years will help correct trade imbalances with India, U.S. Energy Secretary Rick Perry said in New Delhi on April 17. It’s too early to say how it will affect the World Trade Organisation, but there’s a danger that a longer stint for Trump in the White House could mean countries will reposition themselves in a more permanent way, Meltzer said. In the meantime, conflicts over trade tariffs remain. India is seeking an exemption to steel and aluminum tariffs imposed by the U.S. even as it last week asked to join the WTO’s dispute consultations between China and U.S. It alleged the Trump administration’s measures violated WTO’s most-favored nation principle, officials said. The south Asian nation plans to discuss its market access demands, concerns over H1B visas and changing rules to allow its information technology workers U.S. social security benefits at the trade policy forum scheduled to be held in New Delhi in October or November.—Bloomberg.